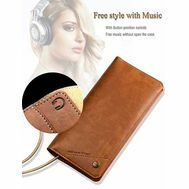 Buy this Zhuse branded 2 in 1 luxury leather wallet with power bank 6800mAh in Bangladesh from Cellsii.com. On the road, at work, on holiday, anywhere you want, you can easily use your smart device without fear of ending the charge. You do not need to install anything to use your backup battery. After you connect the cable to your phone, the charging process starts automatically. User-friendly backup battery charges your devices quickly and safely. 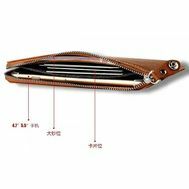 Portable design makes it easy to carry with you whenever you want. As you can fill your backup battery with a charger; car cigarette lighters and the USB port of your computer. Power bank's charging power for your phone is directly proportional to the battery power of your device. For example, if your backup battery is 1000 mAh and your phone is 1000 mAh, the portable battery charges your phone fully once. You must fully charge your first time 12 hours to get the best performance from the battery. Use the backup battery with the original charge of your device to ensure full efficiency from the charge process.